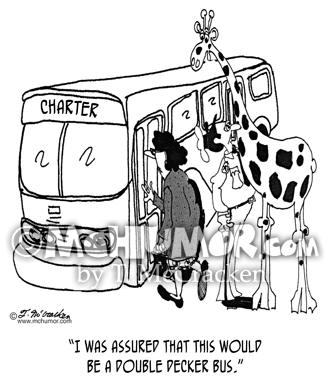 Giraffe Cartoon 7336: A giraffe trying to board charter bus says, "I was assured that this would be a double decker bus." 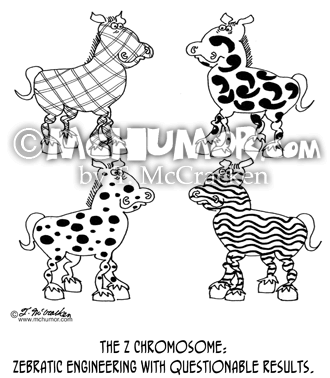 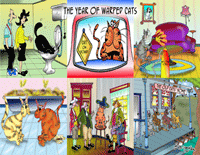 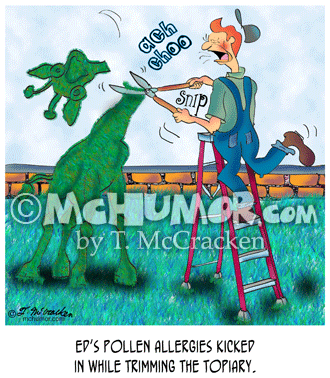 Zebra Cartoon 5502: "The Z Chromosome: Zebratic Engineering with questionable results." 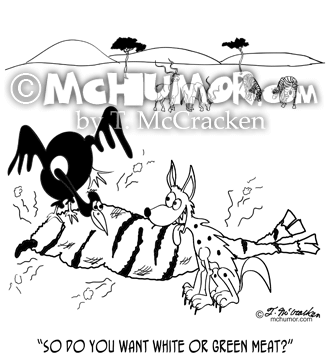 Zebras with horizontal stripes, polka dots, checks, and paisleys. 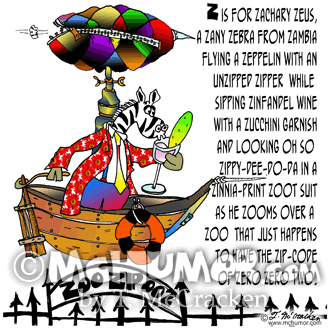 Zebra Cartoon 7480: Z is for Zachary Zeus, a Zany zebra from Zambia flying a Zeppelin with an unzipped zipper while sipping Zinfandel wine with a zucchini garnish and looking oh so zippy-dee-do-da in a zinnia-print Zoot Suit as he zooms over a zoo that just happens to have the zip-code of zero zero two.